When you’re a winter bride, you know that your special day will have some unique moments that you can’t get any other time of the year. From the snow-inspired sparkle to the potential for a winter wonderland for your photos, having a winter wedding can be truly magical! While you may have already chosen your centerpiece and had the pleasure of tasting a million different flavors of cake, you might still be deciding on your hairstyle. Here are some beautiful looks that an upcoming winter bride might fall in love with this season. 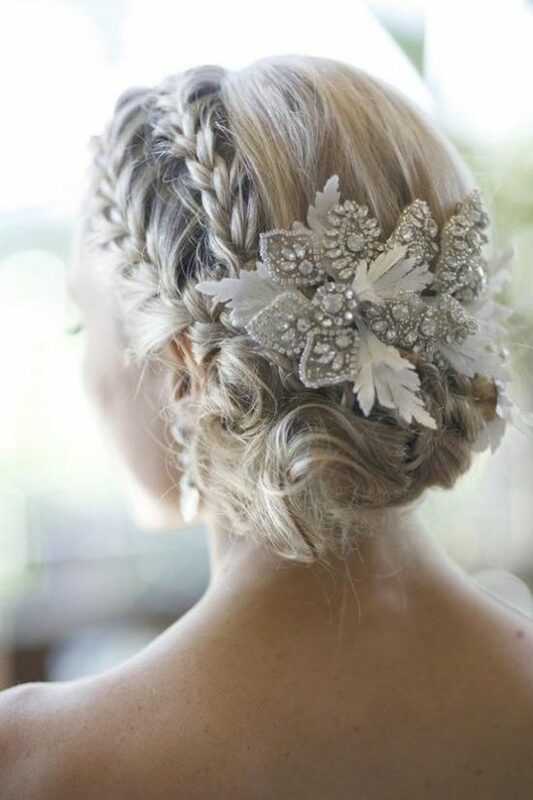 A rhinestone hair accessory reminiscent of an icy poinsettia will look beautiful for the entire day, or for when it’s time to put away your veil and dance the night away at your reception. A beautiful holiday wreath isn’t just for the entryway of your home anymore! This gorgeous white rose and evergreen combination won’t just make you look like a beautiful snow fairy, but it will dry beautifully and be a wonderful home decoration for years to come. This Viking inspired look is a gorgeous style that will give you a heroic, yet elegant look. Add a snowy background and a gorgeous headpiece, and your wedding photos will be stunning! A delicate veil will give a classic look no matter the season. Pair it with a shimmering hair accessory and even the most gorgeous blanket of snow will have nothing on you. This cascading look gives us the impression of a beautiful waterfall frozen in time. 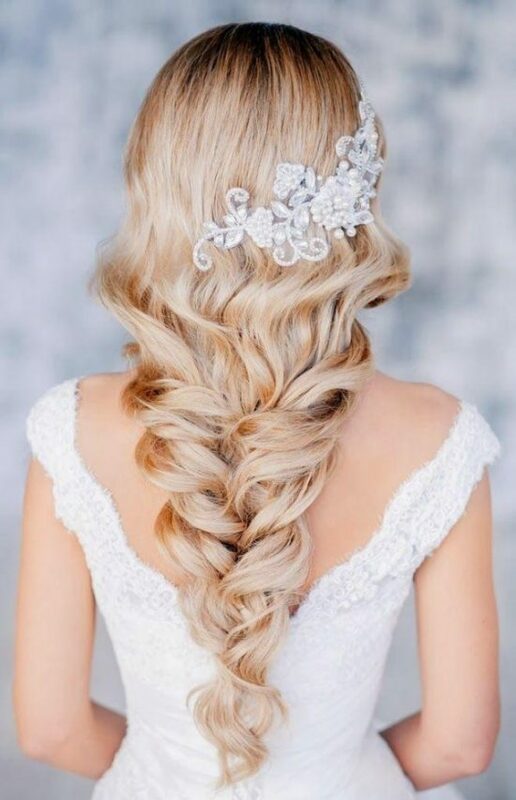 The gentle waves of hair which flow ever so gracefully, will give you an elegant and classy style that will enhance your wedding dress. A gorgeous flapper knows just how to dance the Charleston through those snow flurries. Keep your ears warm and your style hot with a 1920’s inspired look that is simply the bees-knees! A 1960’s bombshell ‘do is the perfect look for a winter bride with an edge. From the big and bold bouffant to the fluffy boa to keep you warm in the chilly temps, you’ll be trendy and beautiful. A big and bold look, this gorgeous bride knows just how to pair a winter vibe with a hint of spring time. 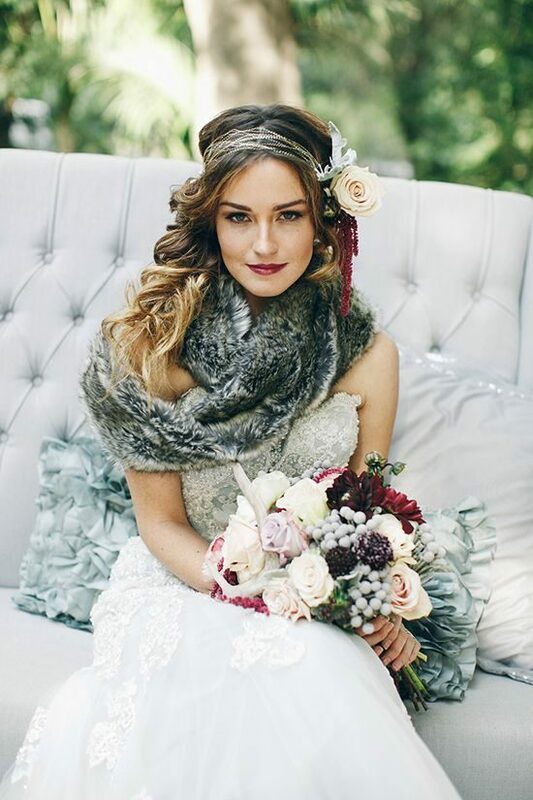 By pairing botanical accents from both seasons, combined with the richness of faux fur, you have a modern winter bride that is also timeless and chic! 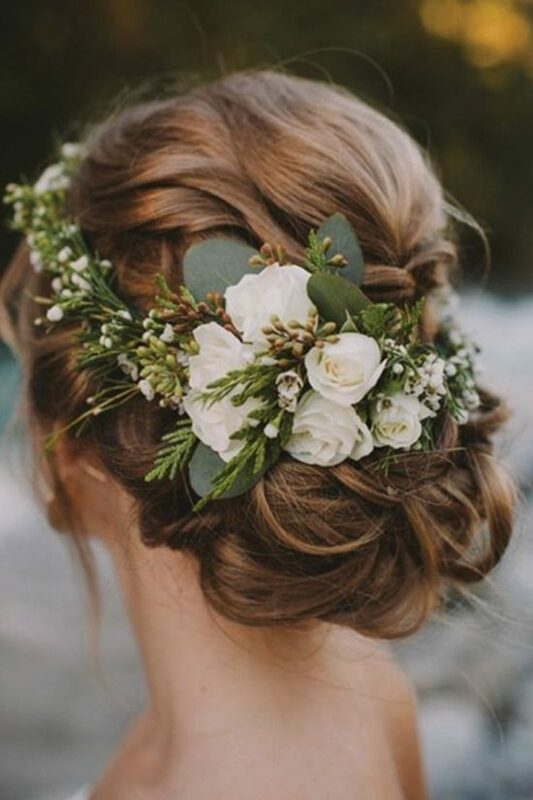 Were you a beautiful winter bride or are you going to be one soon? (Hint: If you were married in winter then you definitely were!) Please share your gorgeous looks on our Mane ‘n Tail Facebook page and we might share your post to our followers! Keep your fall/winter hair color looking fresh with our new and improved Color Protect Shampoo and Color Protect Conditioner formulas. This dynamic duo starts off with a nourishing, color-protecting shampoo that throughly cleans while distributing essential oils, providing hair with long lasting body, shine and fullness, while preserving its color. Then the deep moisturizing, color-protecting conditioner not only moisturizes, it strengthens and repairs color treated hair, without weighing the hair down. Read all about Color Protect Shampoo and Color Protect Conditioner! 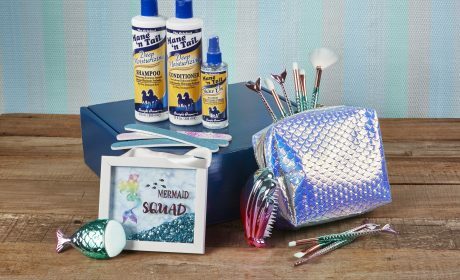 Get fabulous hair and nails to go with your fabulous you! 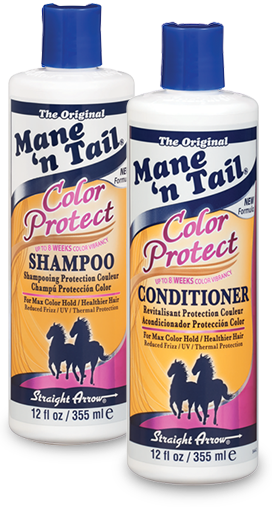 Shop always reliable products at Mane ‘n Tail! 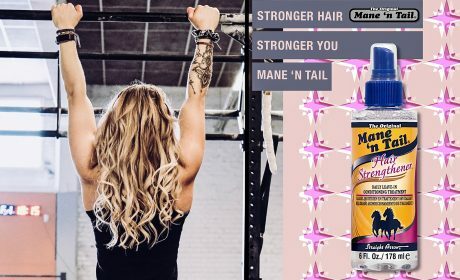 Mane ‘n Tail Hair Strengthener = Strong Hair!